Natural gas is displacing coal, which could help fight climate change because burning it produces fewer carbon emissions. But producing and transporting natural gas releases methane, a greenhouse gas that also contributes to climate change. How big is the methane problem? For the past five years, our research teams at Colorado State Universityhave made thousands of methane emissions measurements at more than 700 separate facilities in the production, gathering, processing, transmission and storage segments of the natural gas supply chain. This experience has given us a unique perspective regarding the major sources of methane emissions from natural gas and the challenges the industry faces in terms of detecting and reducing, if not eliminating, them. Our work, along with numerous other research projects, was recently folded into a new study published in the journal Science. This comprehensive snapshot suggests that methane emissions from oil and gas operations are much higher than current EPA estimates. One way to quantify the magnitude of the methane leakage is to divide the amount of methane emitted each year by the total amount of methane pumped out of the ground each year from natural gas and oil wells. 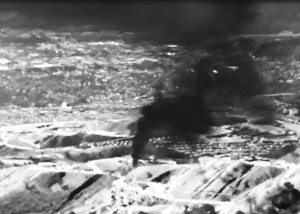 The EPA currently estimates this methane leak rate to be 1.4 percent. That is, for every cubic foot of natural gas drawn from underground reservoirs, 1.4 percent of it is lost into the atmosphere. This 60 percent difference between our new estimate and the EPA’s current one can have profound climate consequences. This study synthesized the results from a five-year series of 16 studies coordinated by environmental advocacy group Environmental Defense Fund (EDF), which involved more than 140 researchers from over 40 institutions and 50 natural gas companies. The effort brought together scholars based at universities, think tanks and the industry itself to make the most accurate estimate possible of the total amount of methane emitted from all U.S. oil and gas operations. It integrated data from a multitude of recent studies with measurements made on the ground and from the air. All told, based on the results of the new study, the U.S. oil and gas industry is leaking 13 million metric tons of methane each year, which means the methane leak rate is 2.3 percent. This 60 percent difference between our new estimate and the EPA’s current one can have profound climate consequences. Methane is a highly potent greenhouse gas, with more than 80 times the climate warming impact of carbon dioxide over the first 20 years after it is released. An earlier EDF study showed that a methane leak rate of greater than 3 percent would result in no immediate climate benefits from retiring coal-fired power plants in favor of natural gas power plants. 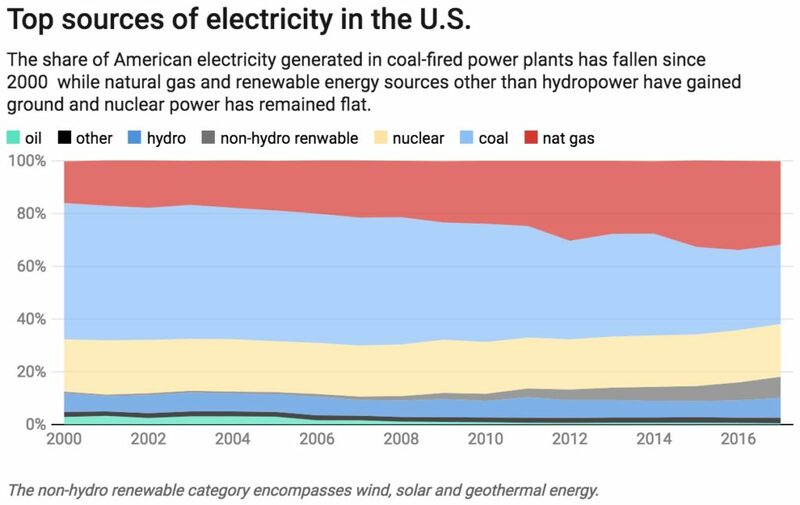 That means even with a 2.3 percent leakage rate, the growing share of U.S. electricity powered by natural gas is doing something to slow the pace of climate change. However, these climate benefits could be far greater. Also, at a methane leakage rate of 2.3 percent, many other uses of natural gas besides generating electricity are conclusively detrimental for the climate. For example, EDF found that replacing the diesel used in most trucks or the gasoline consumed by most cars with natural gas would require a leakage rate of less than 1.4 percent before there would be any immediate climate benefit. What’s more, some scientists believe that the leakage rate could be even higher than this new estimate. Perhaps you’ve never contemplated the long journey that natural gas travels before you can ignite the burners on the gas stove in your kitchen. But on top of the 500,000 natural gas wells operating in the U.S. today, there are 2 million miles of pipes and millions of valves, fittings, tanks, compressors and other components operating 24 hours per day, seven days a week to deliver natural gas to your home. That natural gas that you burn when you whip up a batch of pancakes may have traveled 1,000 miles or more as it wended through this complicated network. Along the way, there were ample opportunities for some of it to leak out into the atmosphere. Natural gas leaks can be accidental, caused by malfunctioning equipment, but a lot of natural gas is also released intentionally to perform process operations such as opening and closing valves. In addition, the tens of thousands of compressors that increase the pressure and pump the gas along through the network are powered by engines that burn natural gas and their exhaust contains some unburned natural gas. Since the natural gas delivered to your home is 85 to 95 percent methane, natural gas leaks are predominantly methane. While methane poses the greatest threat to the climate because of its greenhouse gas potency, natural gas contains other hydrocarbons that can degrade regional air quality and are bad for human health. The EPA Greenhouse Gas Inventory is done in a way experts like us call a “bottom-up” approach. It entails tallying up all of the nation’s natural gas equipment – from household gas meters to wellpads – and estimating an annualized average emission rate for every category and adding it all up. There are two challenges to this approach. First, there are no accurate equipment records for many of these categories. Second, when components operate improperly or fail, emissions balloon, making it hard to develop an accurate and meaningful annualized emission rate for each source. We believe that slashing the nation’s methane leak rate will require a collaborative effort between industry and government. “Top-down” approaches, typically requiring aircraft, are the alternative. They measure methane concentrations upwind and downwind of large geographic areas. But this approach has its own shortcomings. First, it captures all methane emissions, rather than just the emissions tied to natural gas operations – including the methane from landfills, cows and even the leaves rotting in your backyard. Second, these one-time snapshots may get distorted depending on what’s going on while planes fly around capturing methane data. Historically, top-down approaches estimate emissions that are about twice bottom-up estimates. Some regional top-down methane leak rate estimates have been as high as 8 percent while some bottom-up estimates have been as low as 1 percent. More recent work, including the Science study, have performed coordinated campaigns in which the on-the-ground and aircraft measurements are made concurrently, while carefully modeling emission events. On a sunny morning in October 2013, our research team pulled up to a natural gas gathering compressor station in Texas. Using an $80,000 infrared camera, we immediately located an extraordinarily large leak of colorless, odorless methane that was invisible to the operator who quickly isolated and fixed the problem. We then witnessed the methane emissions decline tenfold – the facility leak rate fell from 9.8 percent to 0.7 percent before our eyes. It is not economically feasible, of course, to equip all natural gas workers with $80,000 cameras, or to hire the drivers required to monitor every wellpad on a daily basis when there are 40,000 oil and gas wells in Weld County, Colorado, alone. But new technologies can make a difference. Our team at Colorado State University is working with the Department of Energy to evaluate gadgetry that will rapidly detect methane emissions. Some of these devices can be deployed today, including inexpensive sensors that can be monitored remotely. Technology alone won’t solve the problem, however. We believe that slashing the nation’s methane leak rate will require a collaborative effort between industry and government. And based on our experience in Colorado, which has developed some of the nation’s strictest methane emissions regulations, we find that best practices become standard practices with strong regulations. We believe that the Trump administration’s efforts to roll back regulations, without regard to whether they are working or not, will not only have profound climate impacts. They will also jeopardize the health and safety of all Americans while undercutting efforts by the natural gas industry to cut back on the pollution it produces. Anthony J. Marchese is the director of the Engines and Energy Conversion Laboratory at Colorado State University. Anthony J. Marchese has current research support from the National Science Foundation and the U.S. Department of Energy. Over the past five years, he has worked on methane emissions studies that have been supported by Environmental Defense Fund and multiple natural gas companies. He currently serves as a consultant with Abt Associates on methane emissions projects with the U.S. Environmental Protection Agency and New York State Energy Research and Development Authority. Dan Zimmerle is a senior research associate and director of METEC at Colorado State University. Zimmerle receives funding from the U.S. Department of Energy and National Science Foundation, and has previously worked on projects for the Environmental Defense Fund, state regulatory agencies and oil & gas industry associations. He is affiliated with the Institute of Electrical and Electronics Engineers, American Society of Mechanical Engineering, American Chemical Society and American Geophysical Union.